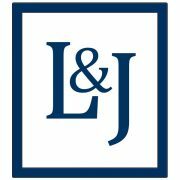 September 2016 - La Cava & Jacobson, P.A. Saterbo v. Markuson (Fla. 2d DCA): In this automobile accident case, the Court addressed the enforceability of a joint proposal for settlement. The plaintiff filed a lawsuit against the driver of the car for direct negligence and the owner of the vehicle, which is a vicarious liability claim. The proposal for settlement did not apportion the amount due to each defendant. The Trial Court denied the plaintiff’s request for attorneys’ fees pursuant to the proposal for settlement, finding that the failure to apportion violated Florida Rule of Civil Procedure 1.442. The Trial Court also found that the proposal was ambiguous because it failed to account for the fact that there was a statutory liability cap of damages applicable to the vehicle owner, thus making it impossible to decide whether or not to accept it. Louis La Cava has been selected as a Fellow of the Litigation Counsel of America (LCA). The Litigation Counsel of America is a trial lawyer honorary society composed of less than one-half of one percent of American lawyers. Fellows are selected based upon effectiveness and accomplishment in litigation, both at the trial and appellate levels, and superior ethical reputation. The LCA is aggressively diverse in its composition. Established as a trial and appellate lawyer honorary society reflecting the American bar in the twenty-first century, the LCA represents the best in law among its 3,500 members. Lawyers, are vigorously vetted for skills, expertise, and service in order to be considered for membership in this organization. Jason Azzarone was successful in arguing to the Second District Court of Appeal that the Trial Court did not err in dismissing the Plaintiff’s complaint in Bove v. Naples HMA, LLC; E.William Akin, M.D., ; and Jay Wang, M.D., — So.3d —-2016 WL 1273260 (Fla. 2d DCA 2016). In its written opinion affirming the Trial Court’s decision, the Second District Court of Appeal held that the Plaintiff’s “complaint was untimely because she did not file it within two years of when she became aware of the possibility that medical negligence occurred.” Agreeing with Mr. Azzarone’s argument, the Second District Court of Appeal opined that the Plaintiff was bound by a statement contained in the notice of intent letter which acknowledged the date the Plaintiff became aware of the alleged malpractice. The Second District Court of Appeal also agreed with Mr. Azzarone’s argument that the Plaintiff failed to timely send the notices of intent to the physicians. In doing so, the Court agreed that the filing of a petition for extension of the limitations period did not revive the statute of limitations after its expiration.